Party Tyme is the largest Karaoke company in North America, creating exciting content and cutting edge products is ALL we do. 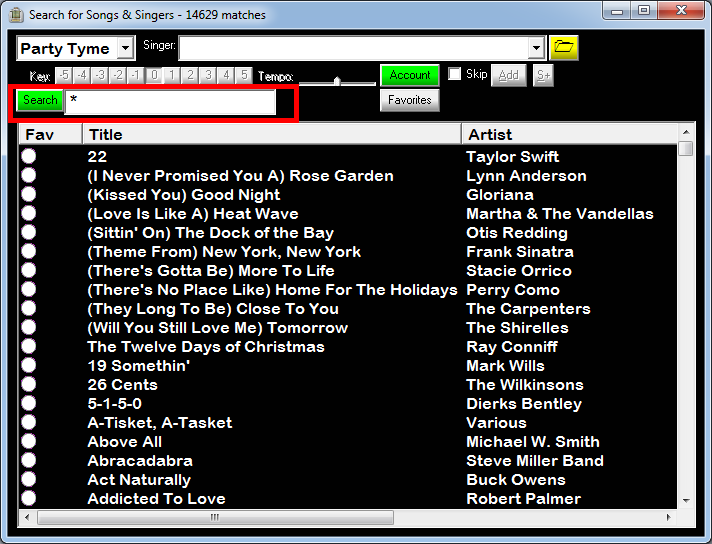 Our catalog is well over 20,000 songs with 14,600+ available for unlimited use. As we receive clearances from the various music publishers, we release both new songs and back catalog every month. This subscription service is $99.99 USD per month, which gives you access to all the Party Tyme Library! All music can be streamed, once a song is added to the playlist, it is saved to your Hard drive so it will be available offline (while your subscription is active). You can download/save as many songs as you wish to your hard drive, and play them without internet access, in locations you may not have it. This service also gives you peace of mind knowing that you are 100% legal! You can also subscribe to the service for 48 hours for $29.99 USD (one time fee). 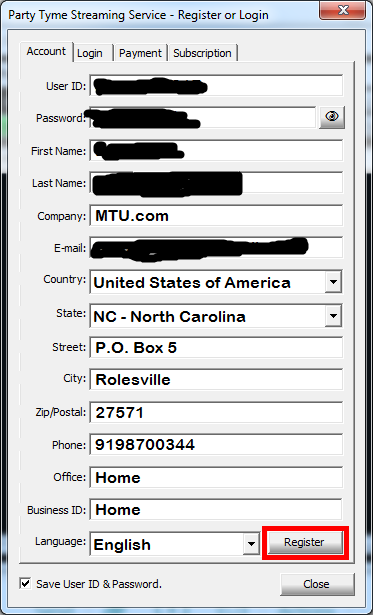 How do I register for the Party Tyme Subscription in Video Hoster 6.0? Click the Payment Tab (Circled in Red). 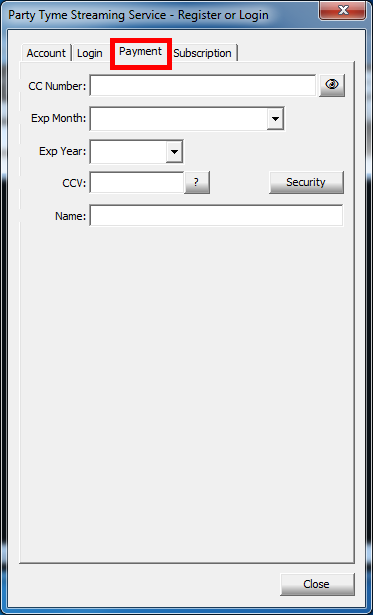 Fill in your Credit Card Details. Click the Subscription Tab (Circled in Red). Select which subscription you wish to sign up for. Check the Box, stating I read and accept the terms and conditions. 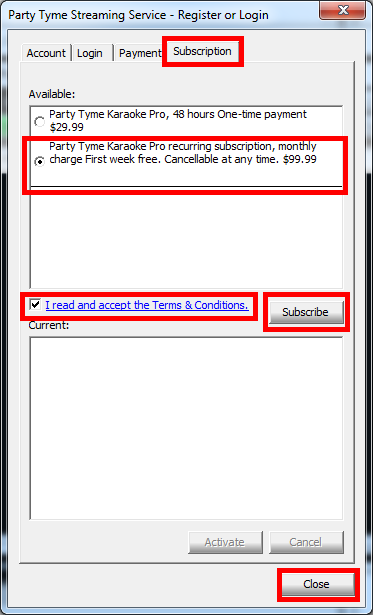 Select the Subscription you wish to purchase, then click Subscribe button. Now Click Close. 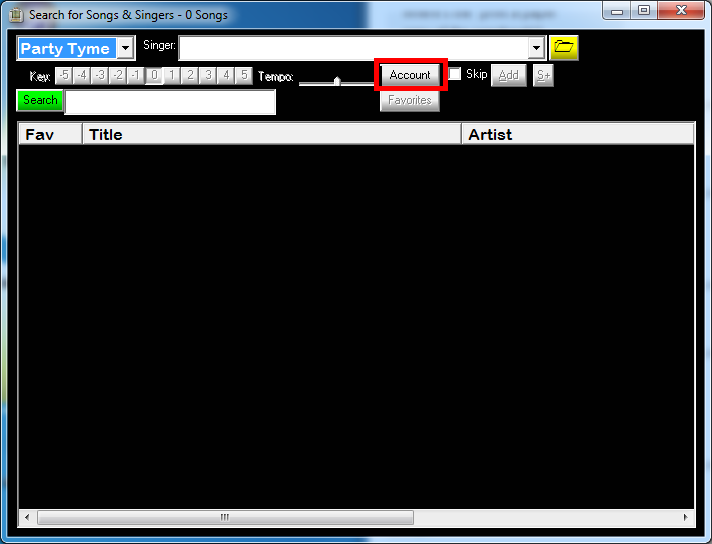 When you add a song from Search to the playlist, you will see the status show as unvailable with a progress bar, as the song is downloaded. Once this is finished you can then Play the song. 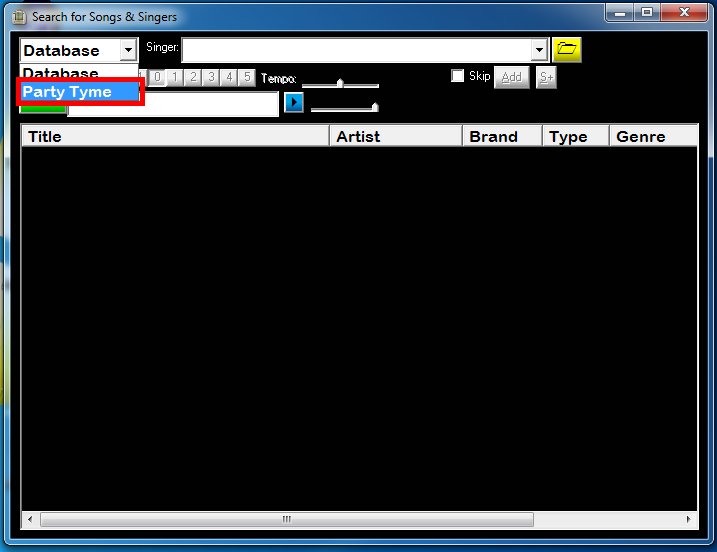 When you see Ready, beside the song in the playlist, you are now able to play it. Does Video Hoster have to be online to use the subscription? Yes, to use the entire streaming library. 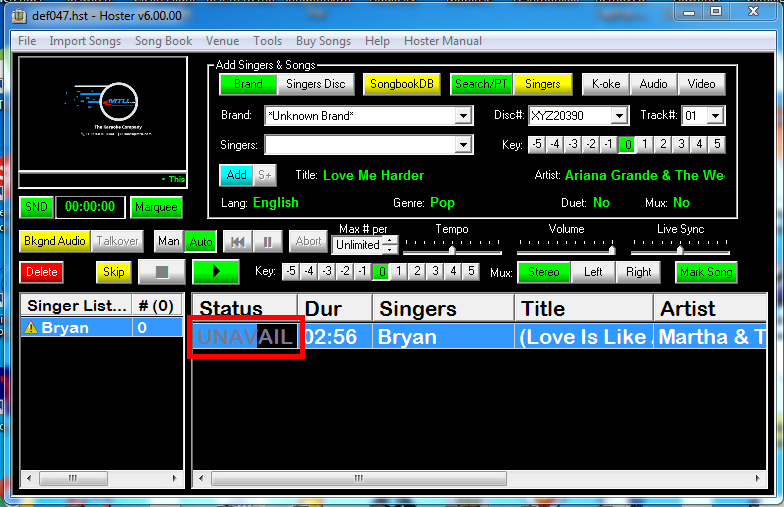 Once you play a Song in Hoster, it gets saved as a favorite and stored to your hard drive, for offline playback.